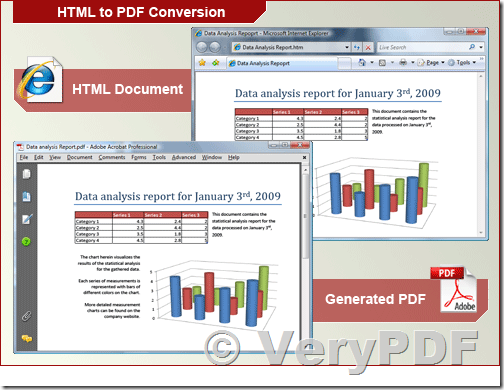 ← I'm looking to convert printer spool files to excel format. Convert Spool File Reports to Excel Spreadsheets. I am trying your tool html2any and it works just well but does not include ActiveX elements from the html file. So output file contains everything but for example graphs. Is there any hint or trick to make this work? Can you please send to us the sample web page which contain ActiveX elements? after we get the URL, we will test on it and figure out a solution to you soon. Sorry but that is not possible. Those HTML documents are running on an external computer and need special dll files in the directory where the files are stored. That's why we need to "screenshot" those files because they can not be opened properly anywhere else. 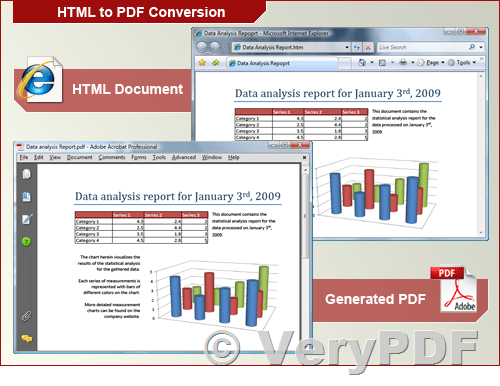 Above command line will convert HTML page with elements to PDF files, you may run it on your system to try. How to convert Word to EMF via command line? This entry was posted in docPrint Pro and tagged docPrint, HTML to PDF, html2any, html2pdf, web to pdf. Bookmark the permalink.